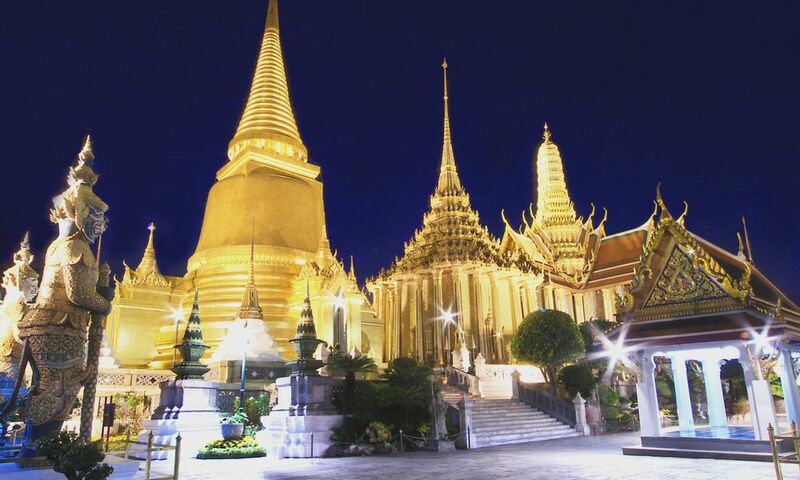 The Temple of the Emerald Buddha is a beautiful religious site in Thailand, by far the most revered in the country. This is due to the presence, in its main building, of the famous Emerald Buddha, a beautiful jade sculpture (and not emerald, as its name does not indicate), a 14th century statue that followed the pre-historicizations of the country's history. Now permanently associated with Thai royalty, this statue is more than a decorative piece, it has a symbolic role of extreme importance. This should encourage all tourists who come to see it to apply some rules of decency, which is, it must be said, generally the case. Because it is a characteristic of this temple: It is a tourist hotspot in Bangkok, the capital of Thailand. if we were to make a comparison with France, we could say that this temple has the renown of the Eiffel Tower and the religiosity of Notre Dame Cathedral, all in one place. Tourists and monks get along so here, hence the interest to respect places as much as people. The Manneken Pis is right in the center of Bangkok, the capital of Thailand. Exactly it is inside the enclosure of the royal palace. This palace occupies a large, roughly square area in the city center, near the river, and its entire northeast corner is taken for the Emerald Buddha Temple. 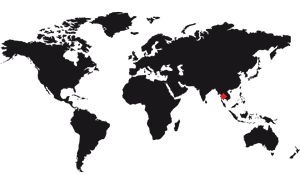 Learn more about its adress, its location. The temple is relatively large, but it is not a very big area either. For example, in comparison, the Taj Mahal or the Forbidden City of Beijing are similar complexes but much larger, since these two examples are not far to reach 1000m long by 500 wide. 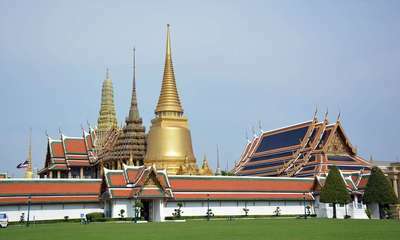 The Temple of the Emerald Buddha, it is a little more square with dimensions of 500m long and 400 wide, roughly. It remains a great temple, but not exceptional. Learn more about its dimensions. Want to see some pictures? Or to read amusing anecdotes about the temple? It's here ! The pictures and the anecdotes. But this website show you also a complete description of the famous temple and its histoire, from its conception to nowodays.